Is it Photoshop? Or just a reminder of how things were when we didn't have so many things in our lives? When all we really had was the simplicity of ourselves? How many times have we laughed at the old saying ‘Money can’t buy happiness’? And, with all those laughs and scoffs, we added our versions: Money can’t buy happiness, but it can buy you a glass of beer, or a Rolls-Royce. But one photo that went viral on social media recently can actually press the pause button on all that for a moment. It can be the selfie of the year, though the year has just started. The selfie doesn’t involve a camera (smartphone) or a photo. 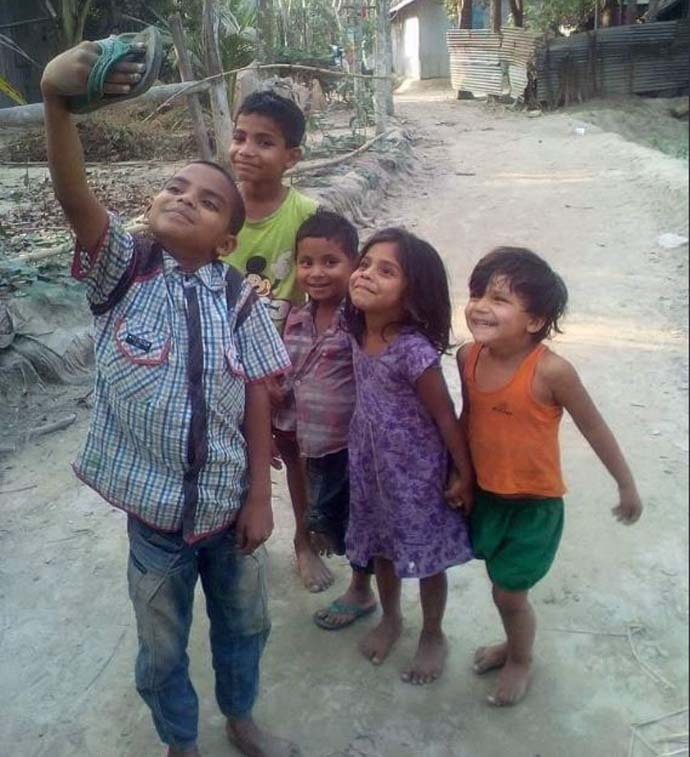 A few children, five to be specific, are seen posing for a selfie. The kid who’s taking the selfie has an old rubber slipper in his hand, held horizontally (he probably knows how people tilt their smartphones horizontally to take a group selfie). The other kids don’t even have slippers on their feet. But what they have is a smile — an unmistakable one, free from all the ills and pains of have-nots. No, this is not a Slumdog Millionaire-ish-swooning-over-poverty-second. Because, of course, this photo could as easily be a “set-up” by a thoughtful mind behind the camera which helped us see the actual photo. The origin of the photo has not been yet traced, which is quite strange in this age of social media. There have been minor scrutinies of whether the photo is Photoshopped because the palm of the kid holding the slipper like a smartphone seems a little out of place — Amitabh Bachchan pointed this out. Two of them are even staring at the camera that took the photo of the photo. So, we actually don’t know what all went on behind the photo. A photographer may have instructed them to hold the slipper and look at that direction, smiling. But what we do know is that the expressions of the kids are priceless. No photographer could have taught them how to ‘fake’ joy, amazement and bewilderment like that! Selfies are so commonplace now, that we are amazed at the absence of it here. In 2013, the word ‘selfie’ was added to the Oxford Dictionary; the definition is a photograph that one has taken of oneself, typically taken with a smartphone or webcam and shared via social media. However, according to reports, the first selfie was taken in 1839. It was a self-portrait taken by Robert Conelius, a photography enthusiast in Philadelphia. The word ‘selfie’ came into being in 2002 and the first selfie, well, it was just bizarre. 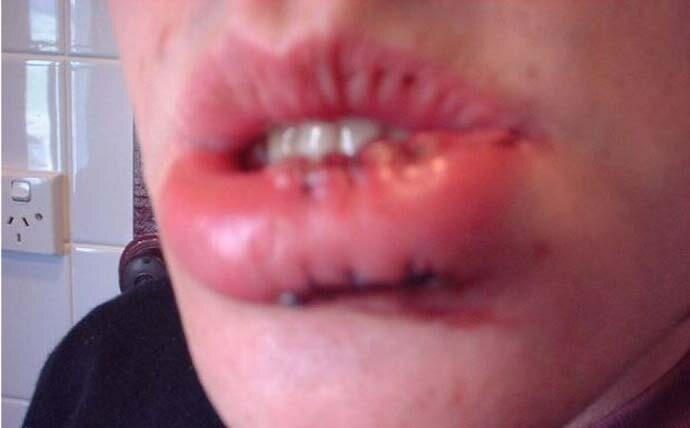 An Australian student called Nathan Hopey posted a weird photo of his stitched lips seeking help. He used the term ‘selfie’ for the first time to describe the strangeness of the photo. Where did he post? (It was before the age of social media). He posted the photo in a forum on the website of ABC, the public broadcaster. Then came front-facing cameras, best selfie cameras, filters, pouting to look slimmer (because your face is supposed to look fat if you take a photo from such a close distance), selfie-sticks et al. June 21 became World Selfie Day. And alongside came selfie-related deaths. According to a report, more than 250 people have died while taking selfies across the world in the last six years. A lot has happened over a very short period of time. A lot which money could buy. A lot to make us forget how the simpler times were when we didn’t have all this. It was something like this. A bunch of kids. Maybe posing. Maybe not. Just in a moment. Being kids. Pricelessly. So, the next time someone says money can’t buy happiness, you may gently nod and smile.